Charles Lindbergh may be remembered for his famous flight, but the Spirit of Saint Louis wasn’t his only vehicle. 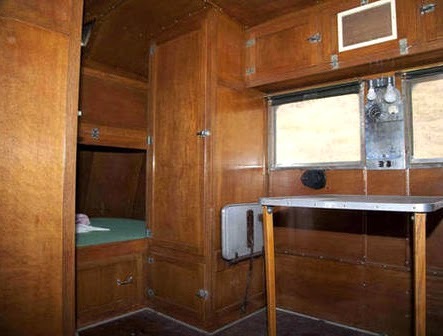 In 1939, Lindbergh commissioned an engineer in California to custom-build a travel trailer for his use. 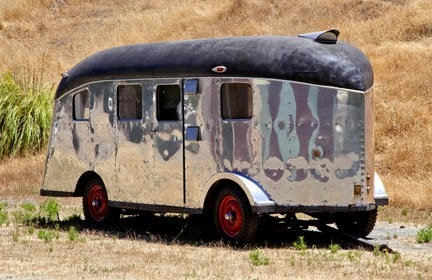 Built long before Wally Byam made Airstream famous, Lindbergh’s trailer had a bright and shiny aluminum exterior. By today’s standards, the engineering design is a bit different. Twin axles support the rig, but at opposite ends of the trailer. The thinking, it’s said, was to allow the trailer to be stable when unhitched. If you’d like a piece of American history, consider bidding on the trailer. 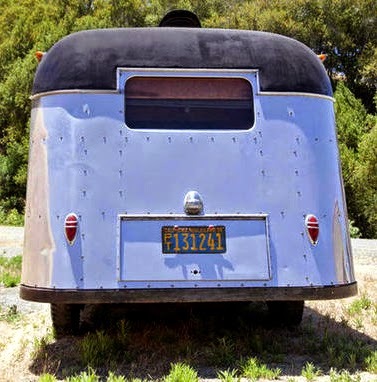 Auctioneers Bonhams, will put the trailer on the block in Carmel, California, August 15, where it’s expected to fetch somewhere between $150,000 and $200,000. Here’s a link to the site. Our thanks to Bonhams for permission to reprint photos. via KOA releases book on the art of “kamping” | RV Daily Report | Breaking RV Industry News and Campground Information. via Tricked-out camping trailer comes with rooftop patio. The Tow-Along Trailer Goes Posh – WSJ.com. via Airstream chronicled in new book > RV Daily Report |. So if you need a gift idea take a look at this today! !